1, 2, 4, 5, 6, 7, 8, 12, 13, 14, 17, 19, 20, 21, 24, 25, 30, 31 and 32. Anyone aware of any others? I just have a feeling that there are others out there. I also noted that Donald credited International Piano Archives at the University of Maryland's Donald Manildi. I wonder what else that IPAM have of Hungerford's hiding in their archives. You do know, Holden,that Hungerford was Donald Isler's teacher? I'm sure that Don has everything he ever recorded and that when he checks in he will be able to supply a complete discography. You could PM him in the meantime. Thank you for the heads up. I knew about that and it would be interesting to hear from Donald what other sonatas Hungerford had in his repertoire. It was great that he could track down those live recordings that appeared on the KASP CDs. I envy Donald because he had so many opportunities to hear him live while he was his teacher. How more intimate a performance could you get than a one on one with insights provided. Anyone aware of any others? 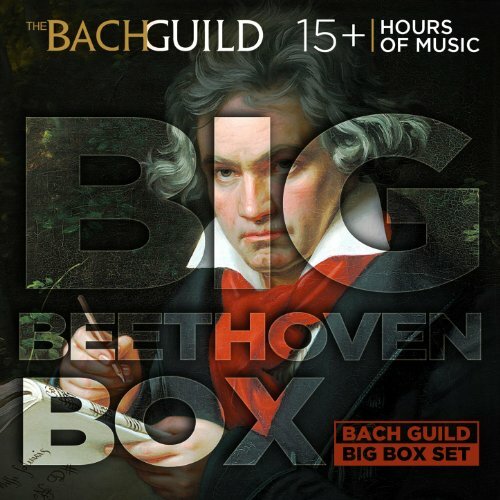 This is what I have of BH's LvB: 20 sonatas in digital format on two Bach Guild/Vanguard Big Boxes costing 99 cents apiece. Also some Hungerford Schubert and Brahms in their respective "boxes". You don't have 19 and 20 listed so if they are added to the list then it is 22 sonatas. The issue for me was that I thought I had them all. I'll have to acquire those missing three somehow or find out where I've hidden them in my CD collection. I appreciate the heads up so thank you. Those are the two I definitely don't have. I believe Vanguard Classics released the three you are missing on redbook CD. Those three could be purchased individually as digital downloads, but I suspect you would want the lossless sound CDs provide. I see that the GRAND PIANO label has a five-CD set out of Hungerford playing Beethoven. It could be that all those recordings come from the Vanguard archives, but I don't know for sure. Does anyone know? There is a 5 CD set on Piano Classics listed on Amazon but apparently that one is missing Sonatas 9, 10, 18, 25. Do you believe those to be the VANGUARD recordings? Grand Piano is licensing material from other labels, or so I've noticed. 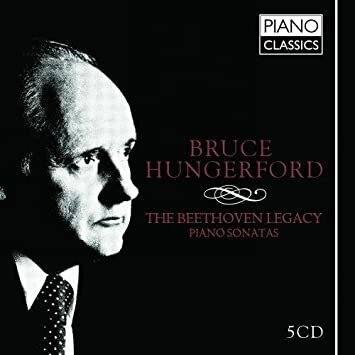 The Australian pianist Bruce Hungerford (1922-77) recorded an incomplete series of the Beethoven sonatas for Vanguard. His first recording of what was intended to be a complete edition for the company was made in 1967, and recordings followed over the next decade. Hungerford, born in Victoria, and a student of the great pianist Carl Friedberg - whose Kinderszenen private recording is the most moving I have ever heard - was not a man to be hurried. It was Myra Hess, with whom Hungerford also studied, who had recommended Friedberg. Hungerford was a wide-ranging man and had studied palaeontology in America in the 1950s. He was also a considerable photographer, with an interest in Ancient Egypt, who wrote and recorded a multi-part series on the subject. But when it comes to his recorded legacy, the results are meagre: nine Beethoven LPs and single ones devoted to the music of Brahms, Chopin and Schubert. His early death in a car crash in 1977 largely explains the gaps. 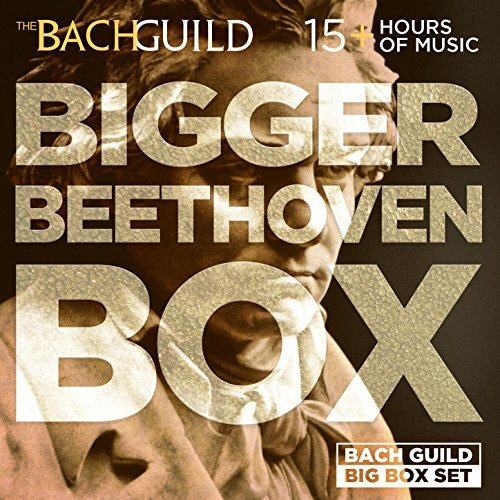 All the Beethoven recordings are gathered together in this five CD box by Piano Classics, who are showing considerable acumen, after having re-released Sergio Fiorentino’s last (Berlin) recordings in an even bigger set. Some live material has survived. Indeed Vanguard has released a Beethoven Fourth Piano Concerto performance with unnamed accompanists, as well as some of the sonata recordings in this Piano Classics box and examples of his performances of the three composers cited above [Vanguard Classics SVC76/9, a 4 CD set]. There are 18 of Hungerford’s sonata recordings in this box. What marks out his playing is a combination of clarity of articulation, a concern for correct dynamics, and rhythmic dynamism in fast movements. There is a certain lofty view of the slow movements, which may appear to some to be on the cool side but in compensation he explores harmonic strands that others bypass. To take a few examples, he lays bare the motoric drama of the first movement of the Waldstein with natural exuberance but digital control. He is commensurately grave and intense in the Adagio molto section, and exhibits vitesse in the Allegro moderato. His Pathétique sonata slow movement is slightly objectified, though it does offer a cool corrective to more heated romanticist performances. There is a stoic patina to the opening of the Moonlight - no expressive rubati for Hungerford - with linear playing throughout. But in true Hungerfordian style he unleashes a torrent of fearsome drama in the sonata’s finale: seldom has it been taken this fearlessly or ‘agitato’. Contra what I may have suggested, Hungerford is not always quite so reserved in slow movements. One that bucks the trend is the Adagio molto of Op.10 No.1 which reveals a slightly more pliant side - though, of course, one should observe that Hungerford himself is observing Beethoven’s modifying direction as to tempo. He brings gusto and ebullience to the finale of Op.78, though some may well feel he doesn’t bring quite enough introspection to its slow opening movement. His performances of the last three sonatas of all - fortunately he managed to record opp. 109 to 111 - offer a conspectus of his most interesting and intellectually and digitally rewarding pianism. He is at his most measured for the long, slow finale of Op.109. There is great gravity, though curiously I don’t find it as incrementally impressive as, say, Wührer whose faster tempo binds things together in a way that Hungerford doesn’t quite manage. Given his general tendency toward rhythmically crisp performances, I was rather expecting Hungerford to replicate Wührer’s tempos, but he doesn’t. In any case Hungerford was much more of a colourist than the more ascetic German pianist. Hungerford’s performance of the final sonata is, if anything, finer than Op.110, fine though that is. He has the digital poise for it, and the intellectual sinew too. These performances certainly stand the test of time. They are challenging even now, in their combination of outsize Beethovenian vehemence and disinclination to emote. Those who want to be stirred, and sometimes shaken, will enjoy the challenge they pose. I do believe I have all that material in the original Vanguard issues. A very interesting review by Mr. Woolf as well. A great pity Hungerford never lived long enough to complete the Beethoven sonata project. I also very much appreciate having "The Legendary Bruce Hungerford" set that now seems to be unavailable. 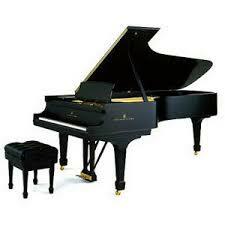 Some may not know that Hungerford recorded Richard Wagner's piano music. I have transfers of well-worn LP copies, however, apparently the original tapes have never been located so that CD issues could be made of this material thus illustrating another facet of this superb pianist's art. Carl Friedberg was a wonderful teacher. My good friend, pianist and conductor, John Covelli, was also a pupil of Friedberg. I must ask him if he had an opportunity to know Hungerford. Hungerford recorded 22 of the sonatas. Here is a discography of the original Vanguard LP issues that I posted on RMCR about a decade ago: Collectors will recognize the VCS prefix as an indicators of issue on the mid-priced Vanguard Cardinal label; VSD = full-priced Vanguard. The most complete single package on CD is a Piano Classics issue that includes 18 of the sonatas along with a few fillers (http://www.musicweb-international.com/c ... LM0036.htm). The same sonatas had been issued piecemeal on Vanguard CD; still MIA afaik are opp. 79, op. 14/1&2, and 31/3. Or have they been reissued since I stopped keeping track? Plenty of crackle and pop. From an LP number LH 107. An almost-forgotten disc, a private recording that Bruce Hungerford had published in 1958, coincident with his name change. This was his second LP and apparently is very rare, per David Canfield's guide. The sound is not ideal. Record number is BH 109. Radio interview: playing Bach’s C-minor Partita and talking with Bruce Hungerford about her recollections of Joachim, Brahms, Clara Schumann and the current state of piano playing (1963). Sorry I did not notice this thread before. Yes, I was very fortunate to hear him play numerous times at concerts, recording sessions (wrote an article about his recording sessions; forget if I posted it here) and at home. Once he came over to us transfer some recordings from 78's onto tapes, and let me watch him practice from across the room while this was taking place. No. 3, 11, 15, 16, 22, 23, 26, 27, 28, 29. The saddest thing about this is that he never recorded the Hammerkalvier, which he had apparently been practicing before he left his studio for the last time (a little while after my last lesson.) The score was found on the music rack later when the studio was opened after the accident.